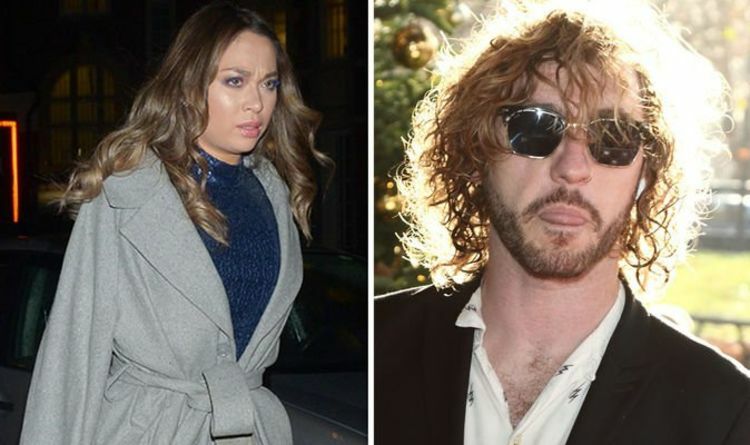 Katya Jones, 29, who was recently confirmed to appear in the upcoming series of Strictly Come Dancing later this year, was caught up in a kissing scandal with comedian Seann Walsh, 33, despite the pair being in relationships with other people. However, a former Strictly contestant has spilled the details of where the castmates were when the photos of the pair went viral. Capital Radio DJ Vick Hope, 29, who appeared on the dance competition in 2018, revealed she was in the pub with Katya and her husband Neil Jones, 36, as well as her own parents, when the pictures emerged online. She told The Sun: “It was Saturday night of movie week. We’d just finished the show and it had all gone well – then the news came out while we were in the bar afterwards, so we were all together when we saw it. Professional dancer Katya was pictured kissing her former dance partner Seann during a night out together in London back in October. At the time, comedian Seann was in a five-year relationship with actress Rebecca Humphries, while Katya has been married to Neil for five years. Rebecca took to Twitter days later to post a lengthy statement in which she revealed she and Seann were no longer together. Katya and Seann also posted an apology on their individual Twitter pages as well as addressing their antics on Strictly: It Takes Two. Meanwhile the Russian born beauty has opened up about the kissing scandal and admitted it was a “learning experience”. In an interview with Hello! magazine, she said: “But actually, drop by drop, people typing horrible and unkind things about you does affect you. “The hate I felt made me very sad,” she continued. “Neil told me, ‘Stop reading, stop looking,’” she told the publication. Her husband Neil also addressed the kiss, saying: “I think, for me, I can accept people make mistakes. Elsewhere, the couple recently took to Instagram to confirm they will be headlining their own tour called Sominum. She captioned a video of them promoting their new project: “Who knew that Eurasian girl from Russia and ginger boy from England would become a dance partnership that achieves things that so many dancers dream about!